What is the Property & Casualty Insurance License Exam? -In most states, this exam is the second step in obtaining a license is your Property & Casualty License Exam. Some states require a licensing course before qualifying to take the exam. -Even after obtaining a licensee, all states require a continuation of education to fully prepare each agent as they enter the field. -Arizona has the highest passing rate of 66% on the Property & Casualty License Exam. Take our Property & Casualty Insurance License practice test to be prepared for this exam. What are the requirements for earning the Property and Casualty License? The qualifications for taking the Property & Casualty Insurance Exam depend on many factors including the state’s regulations, and whether or not the applicant is applying for a state license outside of their residency. An example is a Maryland resident applying for a non-resident Florida insurance license. In many states, passing the Property & Casualty Insurance Exam is only one of the requirements for applying for a license. 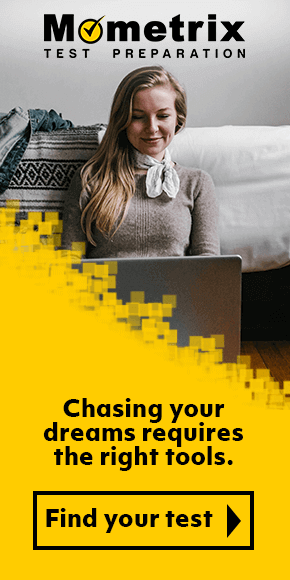 Each state has a different set of qualifications for taking the exam, including the completion of a Pre-Licensing Course, a background check, and training. After passing the exam and completing the other requirements, candidates may apply for the license. The application process for the Property & Casualty License Exam is different for each state. Typically, applicants have the option to fill out the application online or mail it in. To find out how to apply for the Property & Casualty Insurance Exam, contact that state’s insurance board. For example, if you are seeking licensure in Texas, you can contact the Texas Department of Insurance. If you do not know the name of the state board, it may be helpful to search the state’s name with titles like “Office of Insurance” or “Department of Insurance.” For example, California’s state insurance board is called California Insurance Code and Department of Insurance. Candidates are also encouraged to stay up-to-date with renewal fees and requirements, if applicable. How much does it cost to take the Property & Casualty Insurance License Exam? Property & Casualty Insurance Exam fees depend on the state. For more information on examination fees, please contact the state insurance board. The topics covered on the Property & Casualty Insurance Exam depend on the state board. Below are some of the possible categories for this exam. Types of Policies. Example topics include limited-pay, single-premium life, and ordinary whole life. Parts of a Policy. Example topics include declarations, agreements, conditions, and exclusions. Policy Riders and Provisions. Example topics include waiver of premium, accidental death dismemberment, insurance clause, owner’s rights, and payor benefits. Completing the Application. Example topics include underwriting, warranties, replacement, insurable interest, and the Fair Credit Reporting Act. Insurance Concepts. Example topics include life insurance, business insurance, retirement plans, and social security. Marketing Practices. Example topics include claims methods, false advertising, rebating, fraud, and misrepresentation. Basics of Third Party Coverage. Example topics include liability policies, negligence, and “No Fault” benefits. Specialty Policies. Example topics include Fair Plan Coverage, Personal Watercraft, and flood insurance. Commercial Crimes. Example topics include extortion, theft, and robbery. Licensing Laws. Example topics include limited lines, types of producers, fees, and commissions. Applicants are encouraged to contact their state insurance board to find out what topics are on the Property & Casualty Insurance License Exam. Applicants across the country can expect different test-taking experiences because each state adopts different protocols. Below are some of the common rules and procedures. Applicants are required to bring at least one form of identification with a photograph and a signature. Some of the typical prohibited items include cellular devices, iPads, music players, study materials, and handbags. Some testing locations offer personal lockers for the duration of the exam. At many testing locations, test-takers receive a printed copy of their results at the end of the test. 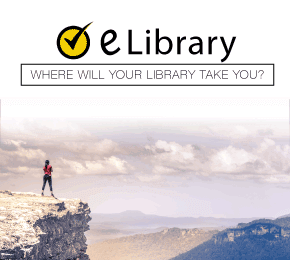 What are some study resources for the Property & Casualty Insurance License Exam? It is normal to experience anxiety when preparing for an exam – especially an exam that can advance your career. Understanding the test topics and structure in advance will not only decrease your anxiety but help you earn a higher score. We understand that this is easier said than done, so our expert test researchers developed the Mometrix Property & Casualty Insurance Study Guide. 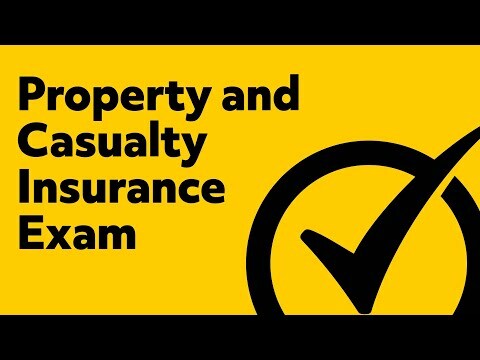 This comprehensive guide is designed to help you thoroughly understand and review the topics found on the Property & Casualty Insurance Exam. Our experts understand that practice before the examination is only half of the battle, so this in-depth study guide includes well-researched test-taking strategies that will help you effectively answer the test questions. For example, when you are taking a test, have you ever felt like you were answering the questions too slowly or too quickly? This study guide will help with that and so much more! Research shows that repetition is one of the most effective test-taking strategies, so our test-taking experts also developed the Mometrix Property & Casualty Flash Cards. Designed with professional-quality material, these flash cards feature thorough, yet easy-to-read explanations of all the major topics on the test, like Broad Theft Coverage and Endorsements for BOP. 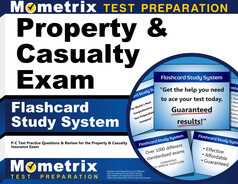 The Mometrix Property & Casualty Flash Cards are ideal for quizzing and studying and on the go! We look forward to assisting you with passing the Property & Casualty Insurance License Exam. We know you will knock this out of the park! Mometrix Academy is a completely free resource provided by Mometrix Test Preparation. If you find benefit from our efforts here, check out our premium quality Property Casualty study guide to take your studying to the next level. 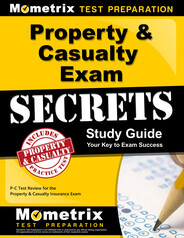 Just click the Property Casualty study guide link below. Your purchase also helps us make even more great, free content for test-takers. Our customers love the tutorial videos from Mometrix Academy that we have incorporated into our Property and Casualty test study guide. The Property and Casualty study guide reviews below are examples of customer experiences. I passed my NC Property and Casualty exam a couple of months ago because of this book. It’s a great comprehensive review that highlights the main concepts that you need to remember for the Property and Casualty exam. This is the reason I passed my exam. I read through this before I took my exam, and learned more in that day then I did taking the classes that whole time. This book will lay out everything perfectly for you. The study guide is amazing. I know that I used the book a little different then suggested. If you did actually use this book the way the authors intended you will be a walking insurance machine. I will definitely use these books for anything, and everything that I am tested on in the future. Already it is way better than the one from the course I took a week ago. It matches my learning style and it is cleanly written in plan language. Just what I wanted. Thank you for making this much better for me. Since I am already licensed in health and life I need to add P&C. This study guide was an excellent supplement to my studies for the P&C exam. It was concise and straight to the point. It gave good study tips and had great practice exams detailing the course. I would seriously recommend for anyone wanting to be sure to pass their exam with ease. I have found this study guide from Mometrix to be so much better than others I have read. The format is very good and I found it much easier to focus on what’s important to know. Because it is written in easy to understand language I am able to grasp concepts more quickly. I am hoping to pass my exam on the first try in the next few weeks by studying this book. I am really pleased with this book! I have been studying for my CA Property & Casualty Insurance Exam for the past month and I’m not going to lie, this is hard! There is a lot of information to remember. I have been told the exam is hard & had many tell me they needed to take the test more than once before they passed. I am determined however, to pass the test on my first attempt. I have tried multiple methods to understand & retain the material. I am now a week and a half away from my scheduled exam date & I have been extremely nervous that I will not pass. In receiving this book today, I now feel as if I might actually be able to pass. I look forward to the challenge as I feel this book will make things a lot easier. The information is in a format that I think will be easier to understand & remember. Indeed, I found this product very educative, enlightening, explaining facts to the point that assures complete focus and desired exam preparations and with accompanying methods of study styles that assures success in passing the exams. I must say, I have found the book very indispensable as I work toward taking the property and casualty exam in the coming month. The impressions and knowledge, I have so far acquired through this book in field of Property & Casualty Insurance is quite amazing. Thus, within the scale of 1-5 and 5 being the highest, I would honestly rate it at 5, and 5 being the highest scale. This is because, it offers the beginner, and the novice on its subjects great explanations over complex facts in the field of Property & Casualty Insurance. Thanks for making this product available. Succinct format, tips and recommendations are super reassuring. I like the letter in front that explains the book’s purpose and tells readers how to use the guide. Love the 20 tips on test taking and especially to start where weakest. The material is fine, factual and organized. But I especially appreciate the General Strategies towards the back, page 146. These are a great help. I like the success strategy – starting with open book and tightening it up, plus referring to more than one study source/guide.